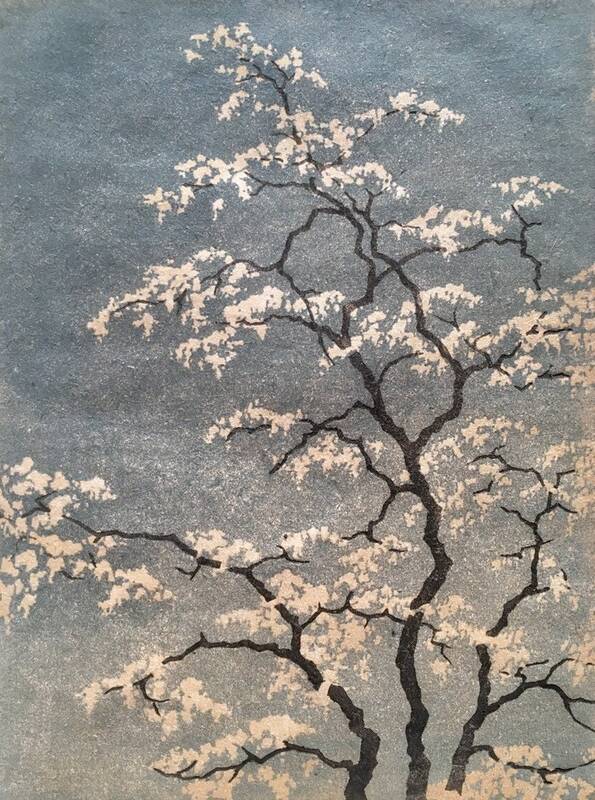 Linocut monoprint on cream colored Japanese handmade paper with multiple impressions to create the textured background. 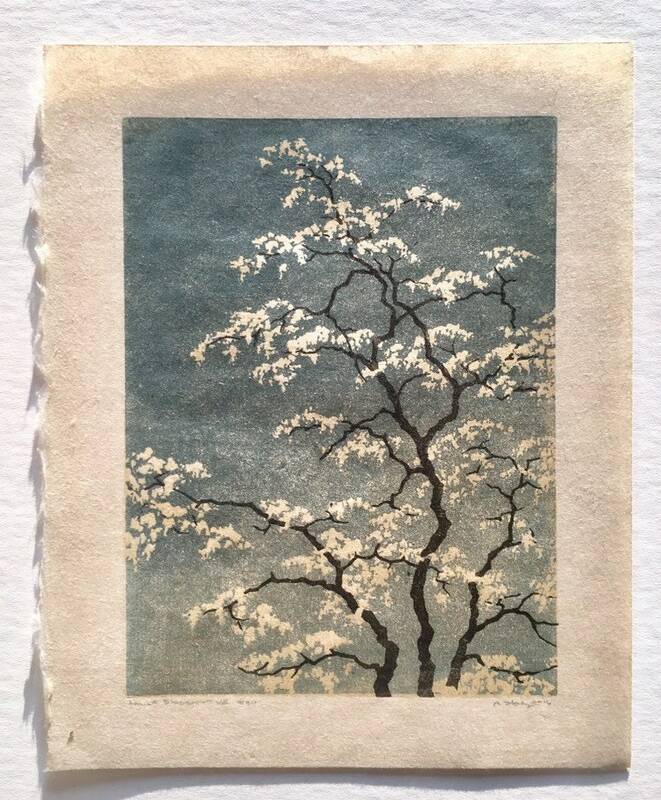 Three blocks were used to create this print, one for the sky with the blossoms carved out, and one for the tree branches and one plain uncarved block with a little color for the initial impression. 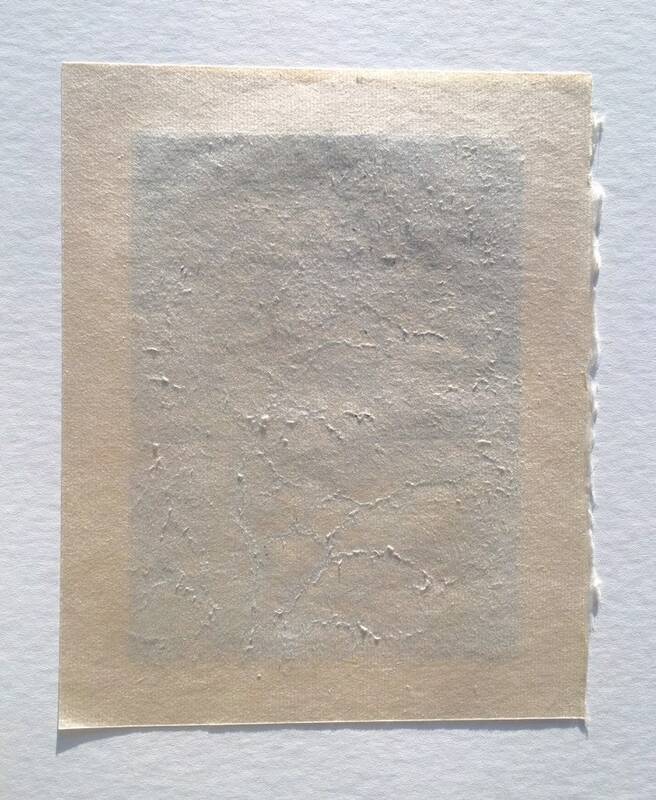 It is printed with water based ink brushed on in thin feathered out layers. 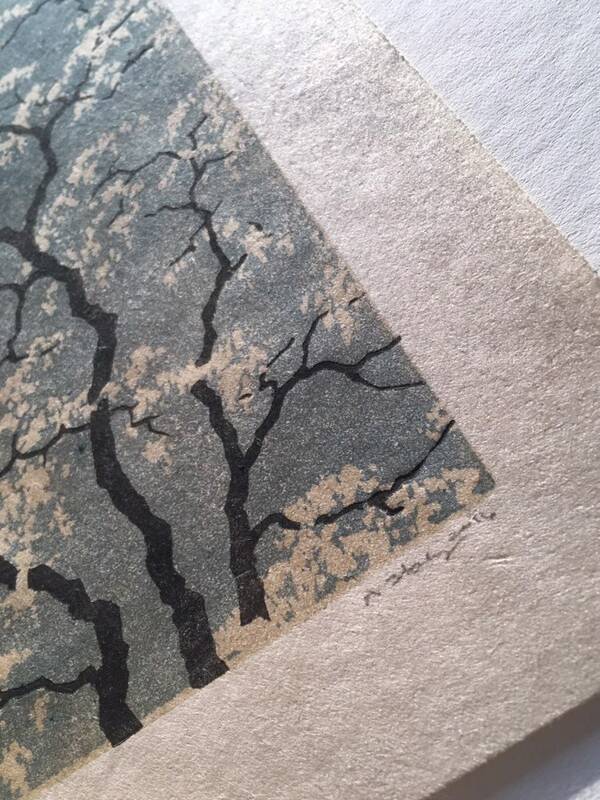 It is a one-of-a-kind original, as layers of colors can't be replicated with each printing. 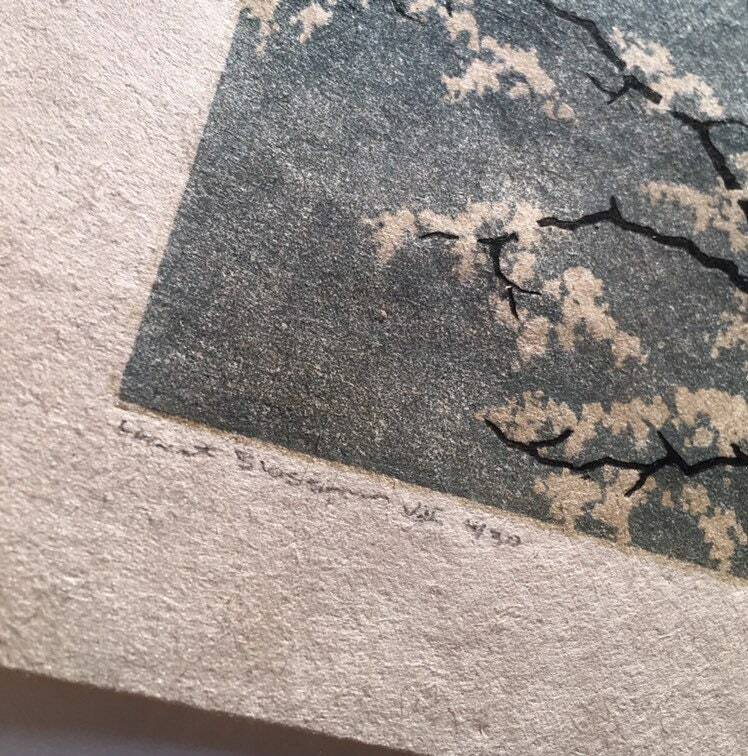 This is the second version of a previously editioned print using different colors. It is a limited edition and is signed, numbered and dated. The image area" 6" x 8" with a .75" border and it fits nicely in a ready made 11" x 14" frame. Please see my listing for a custom cut mat if you would like one included. This print will be shipped Priority Mail with insurance on backing board to ensure its safe delivery.